It seems Deputy President William Ruto has managed to pull a fast one on Bomet Governor Isaac Rutto. 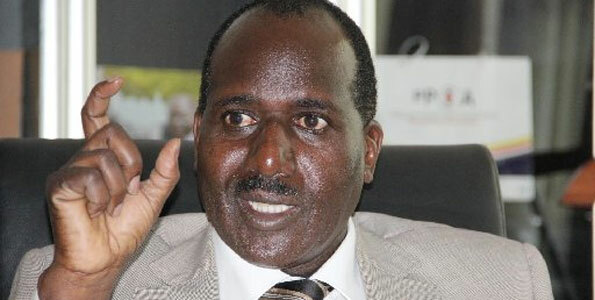 Several kalenjin leaders have abandoned the push for referendum with the latest being Nandi County Governor Dr Cleophas Lagat. Dr. Langat opted out of the plebiscite at a harambee function in Mosop constituency. Sources claim the governor had been under intense pressure to abandon the push during the week after an ugly incident in which one of his staffers was badly injured. A North Rift blog reports that Legislators from the region led by Elgeyo Marakwet Senator Kipchumba Murkomen, Nandi Senator Stephen Sang and Nandi County Woman MP Zipporah Kering had called on Governor Lagat to ditch the push saying they were ready to table a motion in parliament that would increase the annual budgetary allocation to counties from the current 15 per cent instead of going for a plebiscite. Governor Lagat, who was wildly cheered, said he had heard the call from the electorate to abandon the referendum push and instead focus in uniting the County. â€œI have decided to heed your calls and decamp from the referendum drive,â€ said Lagat. Also abandoning the push is Baringo Governor Benjamin Cheboi Â and Nandi Hills MP Alfred Keter. It is also believed that Elgeyo Marakwet governor Alex Tolgos may be on his way out as well as his Kericho counterpart Prof Paul Chepkwony.